Amanda Murphy Design: "Diagonal Delight" with Madame Samm! Tomorrow I'll be guest blogging over at Madame Samm's. 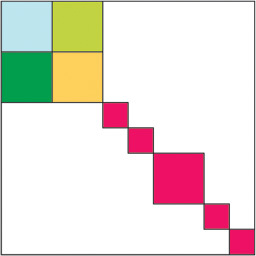 She has been featuring a series of guest bloggers over that past month, each with their own unique block design. Over the past year I have been experimenting with blocks that interlock - where one block seems to flow into the other in a seamless way - and this block is no exception. 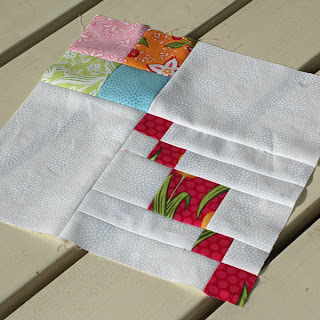 ﻿ If you are looking for a tutorial to make this block, hop on over to Madame Samm's. Now for the giveaway - this one is easy. 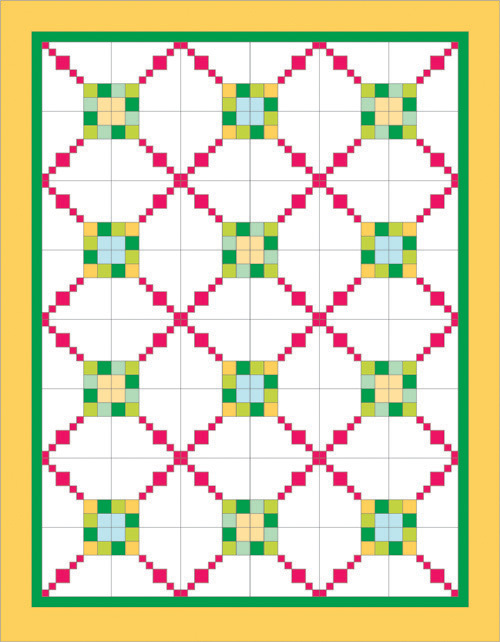 I'll be giving away three of my patterns that exemplify this interlocking block idea: Garden Paths, Bedazzled, and Beribboned. All you have to do is follow (if you don't already) and leave a comment on this post telling me which of the above designs is your favorite. That is it! Don't forget to leave me a way to contact you should you win! Deadline is a little longer this time - Thursday, December 1st at midnight. Wow!! Love these quilts...all of them. If I absolutely HAVE to pick I would pick A and D but I still love B and C too...does that help? I like A the best - it makes me think of flying kites! 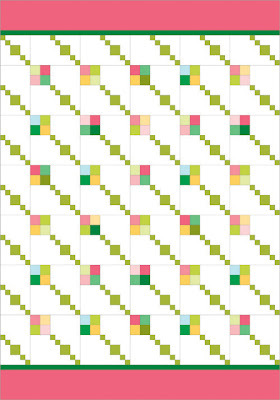 Quilt A is my favorite...thank you for the chance to win some of your awesome patterns! I like A--it reminds me of a jeweled bracelet or summer rain. p.s. love Mdm. Samm--see you there tomorrow! I am confused on which designs we should be picking from lol so sorry if this is wrong. 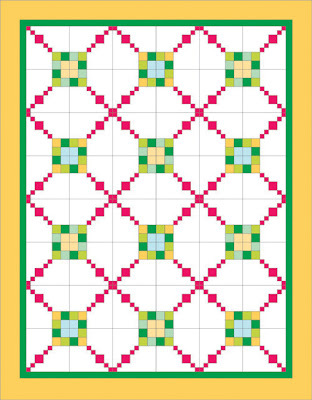 I am a follower, and I like Quilt A and Garden Paths :) Thank you! So many beautiful quilts! Hard to decide.....hmmmmm.....Think I like the quilt Beribboned best. How do you become a follower? I´ll look in on your blog every day, is that enough? I believe Block A is my favorite, but I like C 's design too, robots looking...great block to play with too. Im a follower...Garden Paths is my favorite! Thx. Love the post and block - I like the B layout! What talent - what an imagination! I love Beribboned and I follow you! Thanks. Hi Amanda thank you so much for your block...I love it. Well I really like all 3 but I guess my first like would be garden paths then beribboned ...thanks so much again for the tutorial. Happy Holidays. Oh wow, too hard to choose. 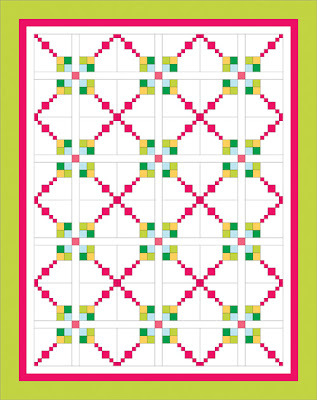 I like quilt that have symmetry, so A is out. I like B but I think I like D better with the sashing it breaks up the corner stones of 4patches, but I also think C is really cool too! Hmmmmm C or D. If I were to sit down right now and make one I would make..............C! I love the simplicity of Layout A - but the possibilities are pretty mind boggling. I do a ton of Linus quilts and love to use new patterns, new layouts, and new fabrics - this pattern sure fits my needs! Gorgeous ideas! 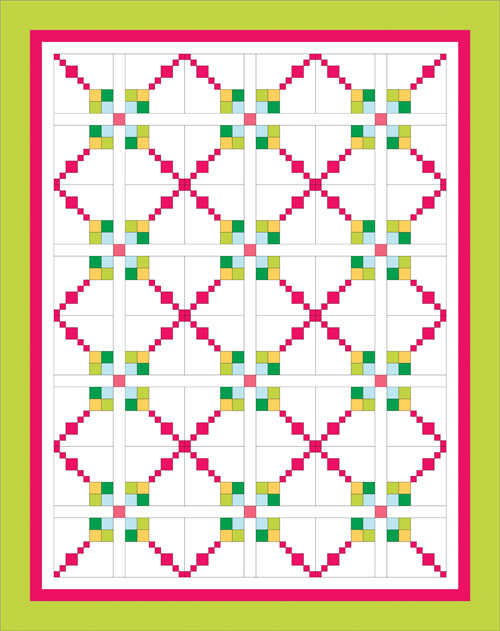 Great tutorial--love Diagonal Delight Quilt A! If I had to I'd follow you to the moon!! I love following you around...I learn so much and it often leads me to places I've never visited before. Love opening my email each day and having a post from you!!! Starts my morning off just right, always wonderful inspiration and some fun. I vote for A...I was leaning towards D...but something about the simplicity of A... I just want to "follow" that diagonal line right off into la la land!! Sorry if this is a duplicate - I got some sort of error message the first time. Wow - so hard to choose - I like them all! A and D are my favorites though. Thank you - headed over to get the tutorial! Whoops....I looked at the wrong thing. I like B the best although they are all amazing. C is my favorite, but like most of the other comments I read, I found it hard to choose...D too! Thanks for a great tutorial - your quilts are an inspiration! My favourite is Garden Paths! Thanks for a great tutorial! I made my first block tonight.. 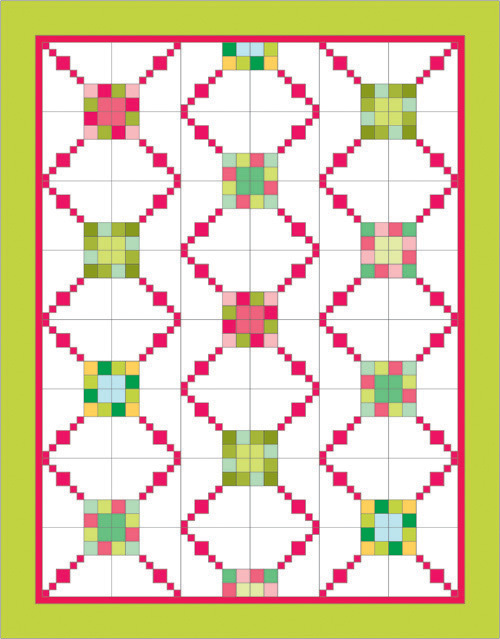 I am adding it to the Block Party Sampler from the Nov Tutorials. :) I plan to make this one again. Thanks again.. If I had to pick a design..I like D. You can see my posting at www.quiltmonstercloset.com :) Take Care and Congrats on a great TUT! 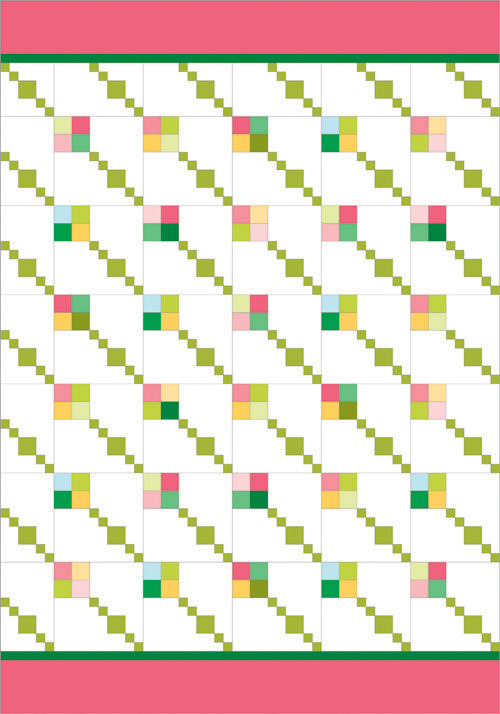 Hi - my favorite is Quilt C. I like Quilt A too and they look like little kites.